This lovely cream hand crocheted sweater set is the perfect gift for your baby. 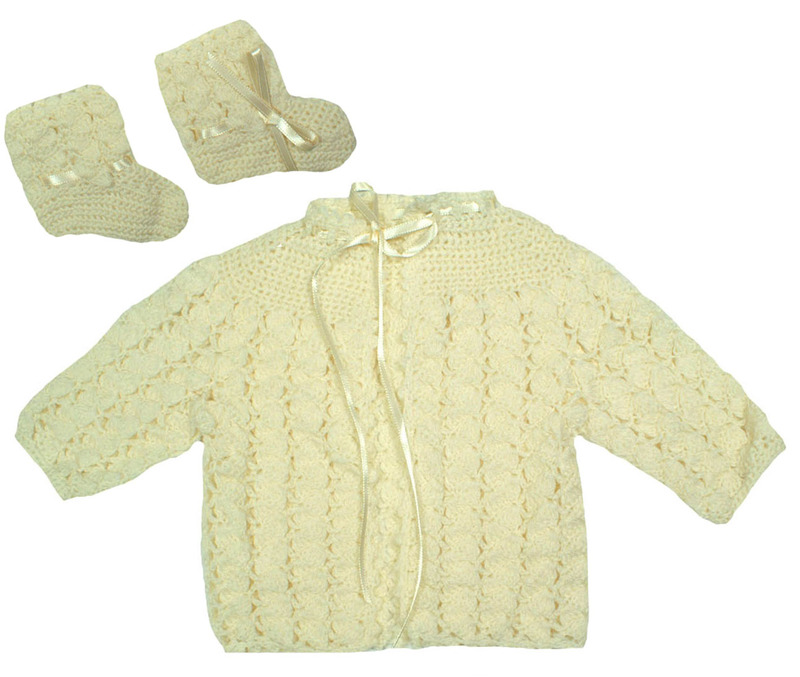 Made of soft baby yarn, the sweater set is appropriate for a baby boy or baby girl. 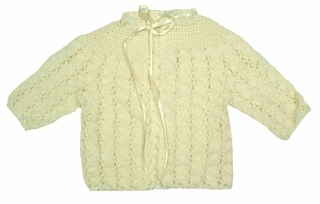 The sweater features cream satin ribbon at the neckline with a ribbon tied closure. 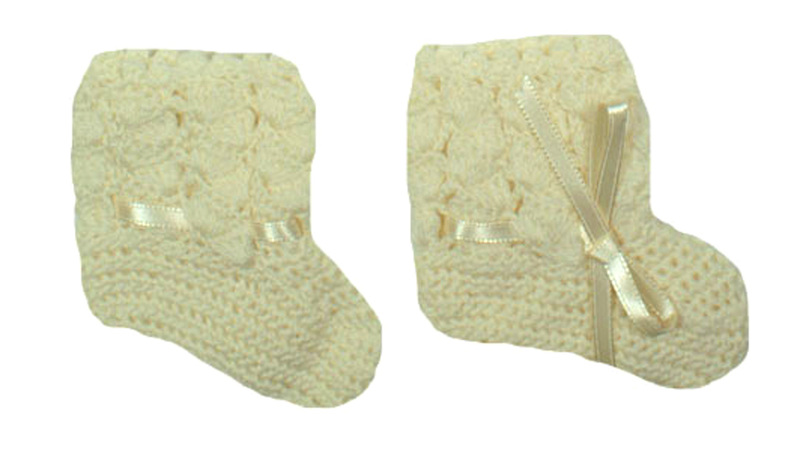 The darling matching booties also tie with cream satin ribbon. Grammie's Attic has a lovely collection of sweaters for your baby or toddler. Be sure to see all of our sweaters and sweater sets for every occasion, including coming home from the hospital, christenings and baptisms, birthdays, and holidays. This item is sold out Not sized but will fit 3 to 6 months.